The coalition government’s number one priority is to get the economy growing. We must create the conditions that support local economic growth and remove barriers that stop local businesses creating jobs and getting Britain building again. In November, the government published a comprehensive housing strategy and we have rapidly put in place measures set out in the strategy to support a thriving, active and stable housing market. We are reforming the Right to Buy by significantly increasing the discounts available to tenants to buy their own home. We launched our NewBuy scheme allowing people access to mortgages with only a 5 per cent deposit. And to unblock stalled sites with the capacity for up to 16,000 homes we launched the 570 million Get Britain Building fund. We also announced plans to dispose of public sector land with the capacity to deliver 100,000 homes, and invested 770 million in infrastructure for housing and growth through the Growing Places Fund. House building starts across England were 29 per cent higher in 2011 compared to 2009. But there is far more to do to provide homes to meet Britain’s demographic needs and to help generate local economic growth. The rented sector already provides good quality homes for many young people, professionals and families. But growth has been constrained by the lack of large scale investment. We invited Sir Adrian Montague to report on the barriers to institutional investment and intend to take up Sir Adrian’s key recommendation. Today I can announce that we will be investing 200 million in housing sites to ensure that the high-quality rented homes that are needed are available to institutional investors quickly. And we will be establishing a taskforce to bring together developers, management bodies and institutional investors to broker deals and deliver more rented homes. The government will also use its hard earned fiscal credibility to pass on lower costs of borrowing to support the long-term delivery of new rental homes. To give institutional investors the assurance they need to invest in this area we will be issuing a debt guarantee for up to 10 billion for this scheme and the affordable housing scheme set out below. Under the scheme, the government will enable providers to raise debt with a government guarantee, where they commit to investing in additional new-build rented homes. From tomorrow, the government will be inviting expressions of interest from companies wishing to benefit from the scheme. It is expected that housing associations, property management companies and developers will be amongst those to benefit. The need for affordable housing remains high. We will therefore be extending the use of guarantees to cover borrowing needed to deliver more affordable homes. Building on the success of the Affordable Homes Programme, the government will invite bids to provide up to an additional 15,000 affordable homes through the use of loan guarantees, asset management flexibilities and capital funding. We also intend to extend our successful refurbishment programme to bring an additional 5,000 existing empty homes back into use. In total we will invest another 300 million. To complement supporting the rented sector, we also want to help those who want to get onto and move up the housing ladder. Building on our existing schemes, we will continue to support house building and to help people into home ownership through Newbuy - making it easier to access a mortgage with only a 5 per cent deposit. We are working with the Home Builders Federation and the Council of Mortgage Lenders to increase take up and grow the number of builders and lenders in the scheme. I welcome Monday’s announcement that Aldermore, have joined the scheme - taking the number of lenders up to six, over 70 per cent of the market. Homebuilders and lenders will work together on a concerted marketing campaign over the Autumn to raise consumer awareness and understanding of scheme. We will also allocate an additional 280 million, with a matching contribution from house builders, to extend our very successful FirstBuy scheme to March 2014. This will allow up to 16,500 additional first time buyers to purchase a home. The need for new homes is acute, and supply remains constrained. There are many large housing schemes in areas of high housing demand that could provide real benefit to local communities once delivered. But, large schemes are complicated and raise a wide range of complex issues that can be difficult to resolve. Building on success in working with Kent local authorities and developers to unlock major housing opportunities at Eastern Quarry in the Ebbsfleet Valley, the Government will work in partnership with local authorities, scheme promoters and communities to accelerate delivery of locally-supported, major housing sites. These will be sites where there is local support for growth, strong demand for new homes, and good prospects for early delivery. Off-site construction can create skilled jobs, improve the quality of homes and ultimately bring down costs. An industry-led group convened by DCLG and BIS, will look in detail at the barriers holding back the growth of this part of the sector and how increased use of such techniques can be incentivised. We will ask this advisory group of experts to prepare an proposals by Budget 2013, with the aim of improving the efficiency of housing supply and unlocking high value jobs in the UK. In response to emerging conclusions from a review chaired by Tony Pidgley, Chairman of the Berkeley Group, the government will accelerate the release of surplus public sector land by strengthening the role of Homes and Communities Agency outside London through a targeted programme of transfers from other government departments and agencies. We will also work to accelerate disposals by preparing the land for market and providing a single ‘shop window’ for all surplus public sector land. We will work with the Mayor of London with a view to developing a similar approach in London, and to resolve how other measures are delivered for the benefit of Londoners. To get more homes built - and more workshops, factories and offices - we need a planning system which works proactively to support the growth that this country needs. The National Planning Policy Framework is a major step forward. It has been widely welcomed by business, and as a result of its positive influence we are already seeing accelerated plan-making and more positive decision-taking. We are clear that local people - and local authorities - must be at the heart of planning. The last government tried top-down imposition of growth and unequivocally failed. The imposition of Regional Strategies built nothing but resentment, with house building falling to its lowest peacetime rate since the 1920s. The Localism Act has put the power to plan back in the hands of communities, but with this power comes responsibility: a responsibility to meet their needs for development and growth, and to deal quickly and effectively with proposals that will deliver homes, jobs and facilities. Today we are announcing a series of additional measures to drive the effective implementation of these reforms and remove unnecessary bureaucracy that can hinder sustainable growth. Given the importance of efficient and effective planning decisions for the economy, we need to ensure that where there are clear failures in performance, that applicants are able to access a better service. We propose to legislate to allow applications to be decided by the Planning Inspectorate, if the local authority has a track record of consistently poor performance in the speed or quality of its decisions. Planning is a quasi-judicial process: justice delayed is justice denied. It is unfair to all parties for local planning authorities simply to fail to make timely decisions on a planning application - creating uncertainty both for applicants and local residents. In support of this we will also require more transparent reporting of council performance on planning, and will be working with the Local Government Association to increase the use of Planning Performance Agreements for major schemes - which commit both applicants and planning authorities to a clear timetable for determining proposals. In addition, we intend to give Planning Inspectors more power to initiate an award of costs in planning appeal proceedings, where it is clear that an application has not been handled as it should have been with due process. Swift determination of appeals by the Planning Inspectorate is also of critical importance. We will consult shortly on options to speed up planning appeals - and for a new fast-track procedure for some small commercial appeals. I have also instructed the Planning Inspectorate with immediate effect to divert resources to prioritise all major economic and housing related appeals, to ensure applicants receive a response in the quickest possible time. I have also extended a measure that allows developers the chance to seek additional time to get their sites up and running before planning permission expires, for an additional year. This measure will cut the costs of getting developments back on track. Getting the infrastructure projects that the country’s economic success relies upon underway as swiftly as possible is also a top priority. The planning regime for Major Infrastructure which deals with many of these cases is bedding in well and is bringing benefits through its streamlined and more certain processes. We want to ensure that this planning regime rightly focuses on the most important schemes whilst also extending the benefits of it to other forms of development which are of national importance. To achieve this we now intend to review the thresholds for some of the existing categories in the regime, and also to bring new categories of commercial and business development into the regime - making it possible for such schemes, where they are of sufficient significance, to be considered and determined at a national level. We will also work to extend the principle of a one-stop-shop for non-planning consents for major infrastructure, and amend the special parliamentary procedures which apply to major infrastructure to ensure they are fit for purpose. It is vital that the affordable housing element of Section 106 agreements negotiated during different economic conditions is not allowed to undermine the viability of sites and prevent any construction of new housing. This results in no development, no regeneration and no community benefits at all when agreements are no longer economically viable. The government estimates that up to 75,000 new homes are currently stalled due to site viability. S106 is an important tool to provide affordable housing and we welcome the flexible approach that many councils have already taken to renegotiating these agreements where necessary. 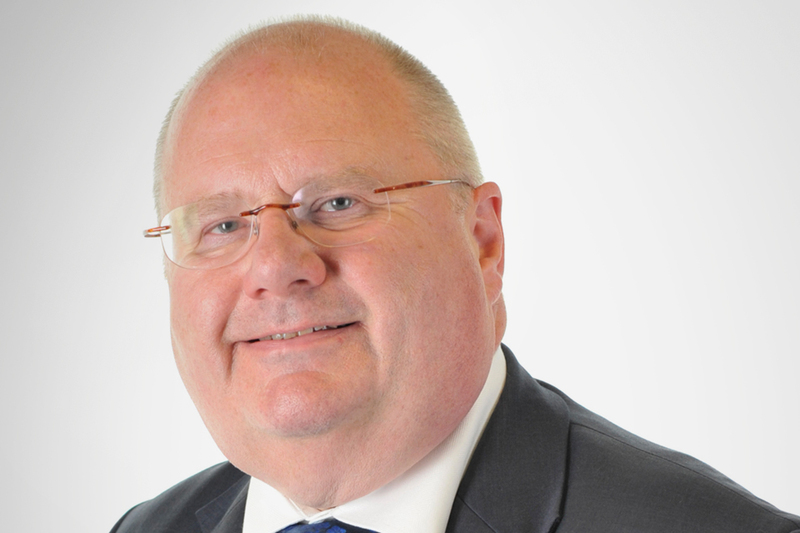 The government is also acting to get developers and councils around the table through its new mediation scheme. However, given the current imperative for growth, we need to do more. The government will now introduce legislation, to be effective in early 2013, which will allow any developer of sites which are unviable because of the number of affordable homes, to appeal with immediate effect. The Planning Inspectorate will be instructed to assess how many affordable homes would need to be removed from the Section 106 agreement for the site to be viable in current economic conditions. The Planning Inspectorate would then, as necessary, set aside the existing Section 106 agreement for a three year period, in favour of a new agreement with fewer affordable homes. We would encourage councils to take the opportunity before legislation comes into effect to seek negotiated solutions where possible. Alongside this, the government is also consulting on legislation that would allow developers to renegotiate non-viable Section 106 agreements entered into prior to April 2010. There is concern that the array of local and national standards used in different parts the country is complex and counter-productive: confusing local residents, councillors and developers. I am announcing today a fundamental and urgent review led by government working with interested parties to rationalise these standards. This review will result in a clear plan of action by next spring, including legislative approaches if a significant rationalisation cannot be agreed. We have previously made clear the importance we attach to delivering new large-scale settlements. The recovery criteria already includes large residential developments. To align this with the call-in process, I will also carefully consider the use of call-in for major new settlements with larger than local impacts. To support locally-led development, communities will share in benefits including the New Homes Bonus, Community Infrastructure Levy contributions towards local infrastructure, and the financial benefits of business rates discounts and forthcoming business rates retention from April 2013. The Green Belt is an important protection against urban sprawl, providing a ‘green lung’ around towns and cities. The coalition agreement commits the government to safeguarding Green Belt and other environmental designations, which they have been in the new National Planning Policy Framework. The Localism Act allows for the abolition of Labour’s Regional Spatial Strategies which sought to bulldoze the Green Belt around thirty towns and cities across the country, subject to the Strategic Environmental Assessment process, as outlined in my Statement of 3 September 2012, Official Report, Column 5WS. As has always been the case, councils can review local designations to promote growth. We encourage councils to use the flexibilities set out in the National Planning Policy Framework to tailor the extent of Green Belt land in their areas to reflect local circumstances. Where Green Belt is considered in reviewing or drawing up local plans, we will support councils to move quickly through the process by prioritising their Local Plan examinations… There is considerable previously developed land in many Green Belt areas, which could be put to more productive use. We encourage councils to make best use of this land, whilst protecting the openness of the Green Belt in line with the requirements in the National Planning Policy Framework. As a nation, we have great pride in our homes, and I want to make it easier for families to undertake home improvements: not just to cut red tape and strengthen individual homeowners’ rights, but also to help generate economic activity which will support small traders in particular. I am announcing today a further package of simplification measures to remove red tape and ease the burden on local authorities. We will consult shortly on changes to increase existing permitted development rights for extensions to homes and business premises in non protected areas for a three-year period. This will mean less municipal red tape to build a conservatory and similar small-scale home improvement and free up valuable resources in local authorities. We have already undertaken a series of measures to make change of use easier, to help get empty buildings back into productive use. We will introduce permitted development rights to enable change of use from commercial to residential purposes, while providing the opportunity for authorities to seek a local exemption where they believe there will be an adverse economic impact. This common sense measure will help the regeneration of our towns and cities. Our high streets will benefit from a greater resident population, increasing footfall and supporting local shops. This package of measures will ensure that the reforms which we have made to the planning system are implemented as effectively as possible, and that the planning system plays as full a role as possible in supporting local jobs and local firms.